Last year (7/2015-6/16), outbound travel departures by Australian residents reached 9.6 million, with 60% of those being for a holiday. The majority of those traveller holidays (77%) were between 2 weeks and 2 months. That’s a lot of travellers and a lot of holidays. Given the proliferation of online booking platforms, it is interesting to note that almost 53% booked with a travel agent, a growth of 4.3% from the previous year. “This is not a platform for someone who just needs a flight or hotel, there are plenty of aggregators doing that, this site is for the Traveller who wants to get the most out of their trip. If you want to turn your trip from a good holiday to a memorable lifetime experience, then use www.Going.Expert.” explains Mr Rogan Carroll, CEO and Founder of this new and unique travel platform. Going Expert doesn’t sell travel and doesn’t compare prices, they put the Traveller in touch with Travel Agents who have been to that destination. And it’s not putting them in-touch with the travel agency office either, this is about one-to-one connections with the actual travel agent who has been there. Backing up the database are destination travel agents currently covering 102 countries and growing daily, ready for travellers to match with. Going Expert is a Sydney based Travel platform serving the needs of Australian and American travellers. Going.Expert connects Travellers with “been-there” Travel Agents; maximising their travel experience by using a travel agent who has real local knowledge. The USG Forex & Investing Seminar was held this week on Tuesday the 16th of June in Sydney. It was a very successful event attended and enjoyed by people from all walks of life. These ranged from seasoned traders, aspiring traders, people who are new to the financial markets and just want to see what London forex trading is all about. The seminar is put on by USG as a free event and covers many interesting topics to help traders better understand the world of forex trading. Some of the areas that are covered include, how the London forex market actually works, risk management and the psychology of trading. USGFX is a regulated broker and holds an A.F.S.L. License. With the company head-quartered in Sydney, clients of USG are able to access the London markets to trade major and exotic FX Currency Pairs, CFDs, indices and commodities. Crewmojohave launchedanew websiteto showcase theirinnovativetask softwarethat helps business leaders get tasks done witha culture ofbuy-in and feedback. Crewmojo is a new app, delivering a unique way for business leaders to delegate and keep across tasks. The ‘easy to use’ and scalable functionality is suitable for teams in small business enterprises through to large corporates. Crewmojo’s new software is simple to use and takes the heavy lifting out of task management. Features range from a unique delegation process that creates buy-in through to automated follow ups that prevent items falling through the cracks and a two-way feedback process that closes the loop on tasks completed. The new software has been through many iterations of design and development and its features have continually evolved through a process of beta testing and user feedback from teams all over the world. The easy to use interface, support for web and mobile, and the technology underpinning the app, is a reflection of Crewmojo’s commitment to an extremely high standard of user experience. It is a new way for business leaders to delegate, generate buy-in, keep across tasks and manage performance in their teams. The company is pleased with feedback received since the software has gone live. This reflects the extensive research and live development work to date, and will continue as new users are surveyed on the features they would like to see added. Crewmojoequips leaders to get stuff done in their teams with a culture of buy-in and feedback. The software helps managers to delegate tasks effectively, build team accountability, operate transparently and create a safe feedback environment. Zintel is Australia’s leading 1300 and 1800 free calling provider and is forecasting continued growth in small business embracing free calling for customers. Business owners considering using a free calling number is advised to select one of the most robust network operators in Australia that can guarantee stability and quality of service. Zintel has a long history of delivering on these requirements to its nation wide customer base. The features of toll-free services have come a long way since telephone networks used the electro-mechanical call switching to todays fully computerized stored program controlled networks. It was not that long ago that a call billed to the called party had to be placed through a telephone company operator as a collect call. The operator had to secure acceptance of the charges at the remote number before manually completing the call. Today this function is done electronically with huge savings to business owners. Zintel is Australia’s leading provider of toll free solutions that add real value to small businesses and large enterprises. Zintel has a toll free service solution for all businesses that better manages their resources, and significantly lower their communication costs. Sydney based Summers Engineering are leaders in CNC manufacturing engineering and in an interview with Metro Cities ABA noted that the buoyancy in defence and construction industries were keeping their production floor busy. However, Brivik says that, regardless of what the “doomsday naysayers” predict, even with the inconsistent level of work coming in, there is still work around and one just needs to be that more proactive in trying to secure this work. He says that he is actually fairly positive and upbeat about the future. Summers Engineering is an Australian owned and nationally recognized CNC repetition engineering company, located in Sydney. Founded in 1952, Summershas come a long way since it’s modest beginnings, and today is a highly regarded producer of a vast array of precision components to a broad range of industries. The company specialises in short to medium size production runs of quantities from around 20, to circa 10000 if required. To learn more about Summers Engineering and their services visit the website. Perth based 2 Easy Removals is pleased to announce the launch of their new website showcasing the comprehensive range of removal and storage services they offer. 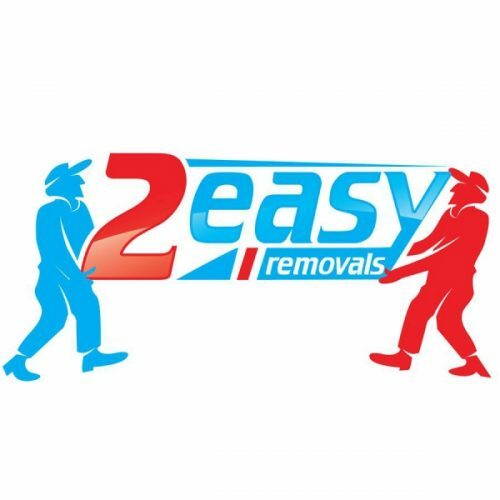 2 Easy Removals have seen the need to keep at the leading edge of technology, to keep in touch with their clients and communicating special promotions to their website visitors. The new website is a reflection of the company’s commitment to staying abreast of the fast pace of changing technology. They are pleased with user experience feedback already received on how comprehensive it is, from existing and new customers recently visiting the site while it was being beta tested. For more information about this Perth Removalist company, please visit the website. Technology enhancements introduced by Sydney based Heaps Cheap Rubbish Removal has resulted in significant operating savings and allowed them to pass on these savings to the customer in the form of a reduced pricing structure. Heaps Cheap Rubbish Removal has been working on all aspects of making the latest technology work for them to achieve greater efficiencies in all areas of their operation. This includes job booking procedures right through to account billing. Heaps Cheap Rubbish Removal has worked hard to keep pace with this increasing volume of waste being generated, while needing to be competitive in a high competition industry. Using cutting edge technology is one of the ways they have been able to achieve this. The company prides itself on Rubbish Removal Sydney wide with true personal service and customer care. It operates across Sydney and its outlying regions. BPC Law have again been recognised by the Doyles Guide for our expertise in personal injury. The Doyles Guide is an independent organisation that ranks law firms based on peer surveys as well as extensive telephone and face to face interviews with clients, peers and relevant industry bodies. It is pleasing for BPC Law to be recognised by Doyles, as personal injury lawyers’ rankings are compiled by feedback from defendant insurance solicitors. We believe having the respect of our opponents gives our clients an edge that other firms cannot provide. Not only has our firm been recognised in the area of personal injury, our specialist partners have been recognised too. Recommended Motor Vehicle Accident & Injury Compensation Lawyers (Plaintiff) – NSW, 2016. Recommended Work Injury & Accident Compensation Lawyers (Plaintiff) – NSW, 2016. Leading Motor Vehicle Accident & Injury Compensation Lawyers (Plaintiff) – NSW, 2016. Leading Medical Negligence Lawyers (Plaintiff) – NSW, 2016. Having all four partners recognised by the Doyles Guide is quite an achievement in the competitive industry of personal injury and we are very proud to again be recognised. If you are looking for a specialist personal injury compensation lawyer, look no further than BPC Law. Experts you can trust. Beilby Poulden Costello Lawyers is a leading Sydney legal practice with accredited motor accident compensation lawyers, specialist workers compensation lawyers. The practice has its origins as a legal practice started by Barry Beilby in 1975. The business expanded significantly in 1993 when the practice merged with that of Flannery Mura & Costello, a firm specialising in Compensation law. Feather Brow Couture have just gone live with their new website showcasing the comprehensive range of microblade eyebrow tattooing, lash lift, tint and extension services available at their Sydney clinic. Feather Brow Couture is one of Sydney’s recognized experts in Microblading, ‘micro-pigmentation’ also known as ‘3D eyebrow feathering.’ This is an ancient technique that uses a fine blade known as a ‘micro blade’ rather than a tattoo gun. The micro blade is a row of micro-needles that is delicately etched into the epidermis layer of the skin using natural pigments. This technique creates fine, crisp, natural hair strokes within the skin. Every brow is individually designed by hand, to mimic the existing brow-hairs creatively tailored to suit the clients’ face. Feather Brow Couture is Sydney based and recognized experts in Eyebrow Microblading, ‘micro-pigmentation’ also known as ‘3D eyebrow feathering.’ Other eye beauty services include eye lash lift, tint and extensions. Sydney is often called a magical city and in the heart of it can be found ‘The Magicians Cabaret’. They have noticed an increasing trend in tourists and locals alike seeking out that something special in night entertainment. The La Fortuna Cabaret Dinner Show presents a night of storytelling, song, dance and magic as you enjoy a candle lit dinner. It has beenvoted one of the top 3 things to see in Sydney by LA celebrity magazine Cliché. Sydney has long been at the cutting edge of providing world-class venues and performances to attract visitors to the city. It has certainly been a contributing factor to Australia ranking second in the world for quality of life in a recent UN study. The speed of information sharing around the globe is making the demand for variety in nightlife essential to satisfy the tourist and Sydney sider alike. Learn more about The Magicians Cabaret and their unique hens night Sydney entertainment by visiting their website. The Magicians Cabaret is a cabaret theatre restaurant venue located in Sydney with character somewhere between New York cabaret and Parisian dinner theatre. Its classic Parisian cabaret decor, magic memorabilia, old style theatre box office and a charming 1930’s proscenium arch stage featuring a beautiful French theatrical ruched curtain, The Magicians Cabaret theatre restaurant is a venue that is as unique as they come. The resident La Fortuna Cabaret Dinner Show with its song, its dance and magic as you enjoy a candle lit dinner presents a memorable occasion for all patrons. Day trips to the museum can be included by Your Sydney Guide in their Sydney city tours. They have also launched a new web site offering great insights into their work for prospective clients and at the same time inform their existing clients of additional services and special promotions. Liposuction Clinic Partners is based in Sydney but operates in other main centers across Australia. The geo-location functionality interface needed to be robust for user experience on all mobile and tablet devices. The new website is a reflection of Liposuction Clinic Partners commitment client needs and staying abreast of the fast pace of communication technology. The clinic partners are pleased with user experience feedback already received on how comprehensive the website is. This feedback was received from existing and new customers that recently visited the site while it was still in beta testing mode. Liposuction Clinic Partners main clinic is in Sydney but operates in other main centers across Australia. It employs the latest technology and all surgeons are of the highest standing in their respective disciplines. To learn more about Liposuction Clinic Partners visit the new website. All of the tour itineraries are designed for the discerning Sydney traveller, are very flexible and can be customised to suit. The range of options include leisurely or very active, classic Sydney attractions or a complete get away from the crowds. According to data provided by Destination New South Wales Sydney had circa 9.2 million overnight visitors in 2015 and continues to grow year on year. The growing number of day visitors to the city each year from cruise ships significantly adds to these numbers. Your Sydney Guide has intimate knowledge of the entire region and this allows them to create & tailor a truly memorable day out. As well as seeing the iconic city sites, guests are able to escape the crowds to visit the locations like the Three Sisters, Katoomba, Leura and discover breathtaking ‘local only’ treasures like Pulpit Rock on the Grose Valley and Bridal Veil Falls to just a few locations able to be included. The 6 hour tour is built around a 4 + 2 concept, 4 hours of essential Sydney touring and topped up with an optional themed 2 hours that can be selected to suit. Themes include Natural Wonder, Food & Wine, Emerging Sydney plus a number of others. Guests can be assured that they will be given an incredible tour experience and an attention to detail that they will remember for years to come. To learn more about Your Sydney Guide and their new six hour tour visit the website. Australian based Diamond Specialist’s new website has just gone live showcasing their range of diamonds and engagement rings.The New website features their wholesale diamonds and bespoke jewelry that they have become renowned for. The use of diamonds as gemstones used for adornment dates back into antiquity, but is as popular today as it was then. The dispersion of white light into spectral colours is the primary gemological characteristic of gem diamonds. In the 20th century, experts in gemology developed methods of grading diamonds and other gemstones based on the characteristics most important to their value as a gem. Four characteristics, known informally as the four Cs, are now commonly used internationally as the basic descriptors of diamonds: these are carat (its weight), cut (quality of the cut is graded according to proportions, symmetry and polish), colour (how close to white or colorless; for fancy diamonds how intense is its hue), and clarity (how free is it from inclusions) A large, flawless diamond is known as a paragon. Learn more about the company and its diamond ring Sydney related services by visiting the new website. Leading Sydney removalist Man and His Van expects the strong growth they are experiencing to continue due to the continued buoyancy in migration to Sydney. The Australian Bureau of Statistics report that In the 2011 Census, there were 5.3 million migrants in Australia, which means one in every four (26%) Australian residents were born overseas. Migrants in Australia tended to live in Australia’s two largest cities, a trend seen in Australia since the late 1940s. In the 2011 Australian Census, just under half of all migrants in Australia lived in Sydney or Melbourne, with 1.4 million residents of Sydney being born overseas. The Sydney real estate market has been buoyed in recent years by Chinese buyers. The knock-on effect in certain areas such as the Northern Beaches has been significant for local business. To learn more about Man and His Van services visit the website. Man and His Van is Sydney based with over twenty-five years servicing home and business owners. They have local knowledge, numerous storage depots, an interstate transport network and offer competitive pricing for both removal work and storage of belongings. The company services all areas in Sydney but specialise in the North Shore, Mosman, the Northern Beaches, Manly and the Eastern Suburbs. Sydney based wall bed specialist Space Wise Furniture confirms the increasing tread to space saving furniture due to ever decreasing apartment sizes coming to market.Europeans have been living in apartments for centuries, but the idea of apartment living didn’t really take off in Australia until the mid to late 1990s. Since then, the idea of an inner city apartment living has really taken off. Melbourne and Sydney especially have embraced the apartment living lifestyle, even when the size of an apartment is only 45 square metres. From the 1990’s until now, apartment towers are larger, now built in clusters with many one-bedroom and two bedroom apartments in each tower. Some Sydney precincts now comprise circa 800 apartments with 50 square metres being a typical one-bedroom apartment style, with studio style apartments in the inner city now going as low as 24 square metres in area. Space Wise Furniture specialises in the sale and installation of high quality wall beds and Murphy Bed furniture. They offer a comprehensive range of space saving furniture solutions to assist designers, home and business owners make the most of limited spaces. They deliver fully assembled units Australia wide and also offer ‘do it yourself’ options for the home handyman. To learn more about the wall units and other furniture offered by Space Wise Furniture visit the website. Leading Canberra carpet cleaning company VeryDirtyCarpet.com has made public today it’s VeryDirtyCarpets Spot and Stain Remover. It is now available at Amazon.com for US customers and via VeryDirtyCarpet.com for Australian Customers. Fans and consumers within the domestic carpet and upholstery cleaning space should find this a particularly interesting development. The idea for creating a special spot and stain remover came about after the company had been cleaning carpets in Canberra for over 21 years. Peter MacDonald, the Managing Director, has prided himself, along with his wife Sandra, at offering high service levels to customers during that time. Wanting to offer superior service levels prompted him to find a solution to an age old problem of customers using the wrong type of product or cheap and nasty carpet cleaning agents that leave the carpets worse than when they started trying to clean the stain. The Spot and Stain remover had been in development for 2 years as Mr MacDonald established the requirements for a quality stain removal product based on his experience in the field. He had a team of 4 people, three of whom are in the USA. working on the development of it over recent months. This goes to show that in this day and age, distance is no barrier to a good Idea. Mr MacDonald searched the world for products that would fulfil his criteria. He located a suitable manufacture in the USA that had the same mindset; they partnered up and produced the VeryDirtyCarpets Spot and Stain Remover. VeryDirtyCarpet.com did something different compared to other businesses in the domestic carpet and upholstery cleaning space, by looking to sunrise marketing opportunities and the product is being marketed in the USA via Amazon.com. VeryDirtyCarpet.com here in Australia has limited quantities of product currently and is making the product available to it’s customers in Canberra until the supply chain is fully established and they can market Australia wide. The VeryDirtyCarpets Spot and Stain Remover was released as part of VeryDirtyCarpet.com’s greater plans to expand the brand in the USA and then also Australia with another product nearing imminent launch and another eight products in development. It’s hoped this goal will be achieved by the end of 2016. VeryDirtyCarpet.com got it’s start when founder Peter MacDonald noticed a growing need for good customer friendly cleaning products. With 21 years prior experience in the domestic carpet and upholstery cleaning world, Peter MacDonald decided to go ahead and start in December 2014. To find out more about VeryDirtyCarpets.com and their Spot and Stain Remover visit the website. Sydney , Australia – December 4, 2015 /PressCable/ — Looma’s have seen the need to keep at the leading edge of technology for online ordering as well as to keep in touch with their customers via newsletters offering monthly specials and promotions. Sydney’s leading Cake delivery company Looma’s have just gone live with their new website booking platform showcasing the company’s comprehensive range of cakes, Croquembouche and Macarons. Michael Khatib, founder of Looma’s said, “we did in-depth surveying of our existing customer base to arrive at a website solution which suited the array of customer needs and to deliver the most effective customer portal.” He went on to say, “We found that customers want the convenience of a very flexible and affordable delivery service just as much as they want our gourmet cakes and other desserts. If you think about it, customers want everything – the convenience, the easy online ordering, good communication, delivery any time, every day, and an excellent product. And we think customers have a right to want everything when they give us their money and trust. It’s all about giving the customer extraordinary value – if a business can do that consistently then the customer will keep coming back”. Looma’s bakery is based in Bankstown, Sydney and they deliver anywhere in Sydney for just $9. The online interface needed to be extremely robust to cope with visitor numbers and for ease of doing orders on all mobile, desktop and tablet devices. The new website is a reflection of Looma’s commitment to staying abreast of the fast pace of changing customer needs and online sales technology. They are pleased with user experience feedback already received on how great a user experience it is, from existing and new customers recently visiting the site while it was being beta tested. Looma’s is Sydney’s premier cake delivery company offering a wide range of delicious products online including birthday cakes, Croquembouche, macarons, individual desserts, tarts, pies, pastries and much more. All cakes are baked daily at their commercial kitchen. In addition to the online store for all product lines, the new website features a wealth of information about the company and its full range of services including cake delivery Sydney wide for just $9. Pricewise Insulation, one of Australia’s leading suppliers of thermal and acoustic insulation batts has just commenced stocking Pink Soundbreak(TM) Acoustic Insulation Batts. Pink Soundbreak(TM) Acoustic Insulation Batts is ideal for reducing sound transfer between rooms and through floors, thus creating quieter living spaces. It is specially designed to provide exceptional acoustic performance in residential buildings. Installing Pink Soundbreak Insulation in external walls and ceiling spaces limits the transfer of external nuisance noise into a home. The higher the R-value, the more efficient the insulation will be at keeping your home warmer in winter and cooler in summer. Pink Soundbreak Acoustic Insulation’s nominal density range of 24 – 26kg/m3 provides the added benefit of remarkable thermal performance; this improves the energy efficiency of a home which in turn provides energy cost savings. Pricewise note that Pink Soundbreak batts range in thickness from 60mm to 110mm. The best time to upgrade your insulation is during the construction stage of a new build, as it is often too late to install insulation once the plasterboard is fixed in place. Pricewise recommend installing Soundbreak Acoustic Insulation in the walls and ceiling of your theatre room, between bedrooms and around bathrooms, toilets and laundry areas. They recommend installing the highest R-value that meets budget constraints, but as a minimum they recommend R2.0 acoustic insulation between rooms and R2.7 acoustic insulation for theatre rooms. They note that installing acoustic insulation below first floor children’s bedrooms or playrooms will also help to create quieter living spaces. Pink Soundbreak acoustic insulation is stiffened to fit snugly between standard spacing timber or steel wall studs. This makes it quick and easy to install and ensuring it remains in place for ongoing thermal and acoustic performance. Pricewise Insulation sells thermal and acoustic insulation batts to all capital cities and many regional centres in Australia. Their popular brands include Knauf Earthwool, Pink Batts, GreenStuf, Kingspan and Bradford Gold Batts. They supply ceiling insulation, wall insulation, underfloor insulation and reflective foil at wholesale prices to the commercial and domestic market. In addition to their own insulation warehouses in Melbourne and Sydney, they also have an extensive network of partner suppliers throughout Australia. They can supply a few insulation batts to finish off a granny flat renovation right through to delivering truck loads of product for a commercial development the next day after ordering online. The Spice People have just gone live with their new website showcasing the companies comprehensive range of spice products available through their online store. The Spice People’s head office is in Melbourne but operates across Australia. The online sales functionality interface needed to extremely be robust to cope with visitor numbers and for ease of doing orders on all mobile, desktop and tablet devices. The new website is a reflection of The Spice People’s commitment to staying abreast of the fast pace of changing customer needs and online sales technology. They are pleased with user experience feedback already received on how comprehensive it is, from existing and new customers recently visiting the site while it was being beta tested. The Spice People is a Melbourne based company specializing in the manufacture of bespoke spice blends and single origin pure spices. All the spice blends are made on the premises to recipes that Liz has sourced from her travels to over 30 different countries. The range has over 150 artisan spices to choose from, offering a unique opportunity for retailers and online shoppers to source ingredients that are simply not offered in the major supermarkets in Australia. In addition to the online store for all product lines, the new website features a wealth of spice information and recipes. The company’s stated aim is to connect people with spices in an enriching culinary adventure that makes eating fun, interesting and wholesome. Refer Featured Compensation Lawyers Sydney Press Release by BPC Lawyers. Beilby Poulden Costello Lawyers is a leading Sydney legal practice with accredited motor accident compensation lawyers and specialist Personal Injury Lawyers in Sydney. The practice has its origins as a legal practice started by Barry Beilby in 1975. The business expanded significantly in 1993 when the practice merged with that of Flannery Mura & Costello, a firm specialising in Compensation law. Kapiti Coast, Wellington, New Zealand based GAB Chartered Accountants have just expanded their specialist trust accounting services to accommodate increased numbers of business owners and professionals returning from periods overseas. Any individual with assets such as their family home and investments, needs to consider the protection of those assets. Each person’s situation is unique but GAB Chartered Accountants Kapiti Coast generally recommend a mixture of appropriate insurance cover and a family trust. The issues and options are discussed with you to ensure you understand what’s involved. They then liaise with your lawyer and other professional advisers to ensure the appropriate structure is put in place. Trusts can be established for a variety of reasons and there are two major types. Firstly, Trust’s which provide protection for personal assets such as the family home & investments. These are commonly referred to as “family trusts”. Secondly, Trust’s established to operate a business. These are commonly referred to as “trading trusts”. Trusts can provide a high degree of flexibility in managing your investments or business, and can provide a number of tax planning opportunities. GAB Chartered Accountants insist that correct management is vital if the trust is to operate effectively and avoid attack. GAB Chartered Accountants principal, Graeme Beardsley, hails from Christchurch and spent the first few years of his working life with the Inland Revenue. He then worked for a number of years in one of New Zealand’s leading trustee company’s. Graeme became a Chartered Accountant and member of the Institute of Chartered Accountants of New Zealand in 1987. He entered public practice in 1998. Throughout his career, Graeme has gained experience in assisting a wide variety of business owners, investors and trustees with their accounting, tax compliance and governance responsibilities. GAB is a Chartered Accounting practice providing a range of accounting and tax services. They are based in Paraparaumu and act for clients in the wider Wellington region and beyond. They recognise that their clients can be busy and part of their personal service is visiting clients at their place of work or home. To Learn more about GAB Chartered Accountants and their trust accounting and other services visit the website. Bannister Law, the Australian legal firm, has launched a class action against Volkswagen Australia and Audi Australia on behalf of Australians affected by the defective diesel vehicles. The global emissions rigging scandal may bring the second largest car maker in the world to its financial knees. In Australia some 91 000 Australians own Volkswagen diesel cars. Charles Bannister the founder of Bannister Law, stated that both VW and Audi guaranteed, under consumer laws that the vehicles were fit for their intended purpose and defect free. As the installed defeat device did not comply with the statutory guarantee the customer may under consumer laws be entitled to a refund of the purchase price. This could result in Volkswagen having to refund around $5 billion. A class action is a legal process brought by one person on behalf of a group. This means that a single legal case can decide a dispute involving thousands; making it quicker and more streamlined. The action affects owners of Volkswagen, Audi, Skoda and Seat diesel powered vehicles, with 1.6L and 2L EA engines, manufactured between 2008 and 2015. If you are one of these people Bannister Law is requesting that you contact them, so that they can let you know about your legal options for redress. Volkswagen Australia assured the affected owners that their cars were technically safe to drive and apologised for the situation. Interestingly the ABC’s program Media Watch reported that commercial radio stations have been refusing to take Bannister Law’s ads promoting their class action against VW and Audi. This is believed to be due to the fact that VW Australia are one of the largest advertisers on both radio and TV in this country; and it is thought that radio station ad managers have been too scared to, possibly, upset the auto giant and lose their business. All these self righteous shock jocks on the AM wavelength have gone very quiet, as they ponder who ultimately pays their large salaries. VW posted its first quarterly loss in 15 years, as it prepares to put aside some $6.7 billion Euros for the coming avalanche of recalls and legal actions. Australian conservation organisation ACM Group has launched a new .green website to attract attention through innovation. This Australian Community Managed operation, which was founded in 2015, is dedicated to an ethical and sustainable Australia. The monitoring of issues and projects affecting the Australian environment is vital for the ongoing health and beauty of the Australian landscape. These important concerns cannot be left up to governments and international groups. Local constituents must have the opportunity to get involved and be kept informed by groups such as ACM. Australian Community Managed Grouprefers to the local members of the community and are the ones who are looking at issues affecting the conservation of Australian flora and fauna; without outside influence and duress. The aim is to provide objective and locally focused interest, which can provide a lens through which members of the greater public can get another side of the story, as to what is going on with the conservation of this beautiful country’s unique fauna, flora, and terrafirma. The World Wide Web is a place where people can get information, unhindered by self-interest, and uncensored by governments. The ACM new dot green website will be one such portal into the unvarnished truth about environmental matters. Australian kids need to become more environmentally literate and aware of the threat that things like coal mining pose to the future of this great land. Mankind cannot go on heedlessly ravaging this continent for minerals without understanding the risks that processes like CSG mining can pose to our water security and the health of our farming land. Food producers deserve a better go from governments in the protection of their rights and lands against the rapacious interests of the mining sector. BetsFree.com.au is an exciting new Australian free bet site offering some of the most generous packages in the digital sphere. Online gambling has revolutionised the betting industry in Australia and around the world. There has never been the range and variety of betting possibilities currently available and it just keeps on getting better. The exotic bets which are returning large dividends for winners are making gambling on horses and sport a new and exciting realm of possibilities. It is no longer win, place or each way. It is quadies, pick 4s and margins. You can bet on anything you like, just about, these online bookies are offering odds on just about everything. To get your business they are also offering generous inducements. To get you signed up as a member of their betting agency they are prepared to match up to $700 in bonus bets for your first bets and deposits. There are offers of 300% for $50 bets giving you $200 to bet with; as encouragement that you will do your betting with Crownbet, in this particular instance. William Hill will match the $700 bet with bonus bets. You can receive a free bet from Bet365 for $200 or $400 from bookmaker.com.au. The business of betting has changed forever, as betting is so much easier to do. You can use your smart phone to bet and watch sport or racing. The Internet provides all the form and fixtures, so that you can be up to date with the latest information. BetsFree.com.au has all the latest free bet offers, so that punters can get the edge on the bookies with a head start. These free bet offers may not last forever, so people should grab them while they can. Luxbet is offering a free bonus bet to match your own bet up to $700; so that is $1400 to bet with. Great deals and generous offers are all available through the portal called Betsfree.com.au. This great new site reviews all the online bookmakers, pointing out their pros and cons to the punters looking for app functionality and great deals. You can download all the mobile apps for your phone to access these online betting sites. There are posts on their blog about what is happening in the sporting and racing world; don’t get left in the dark discover Betsfree.com.au. The virtual world seems an appropriate place to connect up with your angel guide from the spirit world and one psychic portal website is doing it better than most. Psychic Central is putting real psychics together with an audience looking for clarity and guidance in their lives. Many people are confused by their inability to meet the right person and form a meaningful relationship; and most good psychics are as much counsellors as anything else. They see and feel the right direction that you should be heading in and sensitively point you toward that pathway. You may be struggling with grief and having trouble letting go of the past. The Psychiccentral.com.au clairvoyant can help you refocus your priorities to what is happening now and what is about to come into your life. Getting caught up in old hurts and painful failed relationships is only dragging you down and preventing you from experiencing happiness. Talking to a psychic can change things just through the contact with a seer; with someone who is not invested in seeing you in a certain way like your friends and family are. Break free of the dark clouds and come into the light. Find the clues that will motivate you to make a difference with your life. The Internet is an incredible portal to gifted people who can help you see things more clearly. The digital sphere is often a clearer channel than face to face sessions with psychics, because there are no physical distractions. Much of the time when we encounter new people we all spend the first fifteen minutes judging others, especially strangers, before we decide to listen and perhaps, trust the flow of information coming our way. Whether you have questions about work, family, health issues or your love life, a Psychic Central clairvoyant can provide you with information about yourself; which can reorientate your search for happiness and contentment or inspiration. Some of the most gifted psychics in Australia are available through the Psychic Central website. The Psychiccentral.com.au site has useful articles about how their psychics work and what you can expect. There are testimonials from a few of the many people who have been helped by the guidance and insight of the clairvoyants and readers working through this great digital platform. Online wisdom can work for you to show you a clearer life path to follow; I once was blind but now can see. Marketing expert Tim Dugan from Marketim.com.au is involved in bringing some of the successful Sydney marketing strategies to the world’s second biggest economy and one of the largest markets. The future for so many businesses is in China and through exposure to that very different but hugely rewarding culture great things can be achieved incredibly quickly. It is a massive opportunity, but one where experience counts for more than in most other markets if businesses are to optimise their chance in the big league. There are language and cultural challenges in translating products into international markets. Luckily Marketim speaks the language and have the runs on the board from doing a lot of business in China over the last 5 years. Tim Dugan, was quoted as saying recently, “Asia is growing quickly and the Asia Pacific region is becoming the new super power of the global market.” Sydney, Australia and China are worlds apart but present extraordinary possibilities for so many different industries. Think of Australian wine in China, as but one example. Chinese business people are looking to places like Sydney to inform their marketing strategies at home and abroad in the twenty first century. China is NSW’s largest trading partner, most valuable tourist market, biggest source of international students and a huge source of investment. When you think about those staggering realities, is it any wonder that an exchange of marketing ideas is well overdue. Through sharing the strategies employed in both regions, win/win outcomes are going to become more and more the economic reality of the day. The mining boom is over, but trade between China and NSW is only going to increase and diversify across a variety of industries and businesses. Getting a foot in the door, now, will be worth a fortune tomorrow! Marketim has been establishing relationships on the ground in China and other parts of Asia, so that our marketing clients can benefit from the open communication channels we have created. Business is all about sharing information, ideas and networks to increase interest and income from the surrounding markets. It is expected that the value of Chinese tourism will double by 2020. The Australia-China Free Trade Agreement will maximise benefits from doing business. Sydney is already becoming a leading financial services hub in the region. As Sydneysiders innovate they will be able to take these innovations directly to market in China; that is the future for Australia. Vigour Skin Therapy’s new website has just gone live showcasing their products that create healthy skin. The New website of Vigour Skin Therapy has just gone live showcasing their products that create healthy skin with no harmful additives. Due to dynamic growth in the company, Vigour Skin Therapy aims to extend the reach of their products by shipping worldwide. Vigour Skin Therapy specializes in nature based, Australian made, owned and manufactured, results-oriented skin care, body care, and wellbeing products. Showcasing cocktails of essential oils and texture to delight, all created from natures best ingredients. All skin conditions and concerns are balanced with combinations of active ingredients including plant, marine, antioxidants and more. The results being healthy and beautiful skin with numerous testimonials and images to support this. Based in Australia, Vigour Skin Therapy offers free shipping Australia-wide, and free international shipping on purchases over $195. Online visitors can now enjoy all the benefits of this Australian healthy skin experience without having to leave home. Vigour Skin Therapy is a Sydney based company manufacturing and distributing natural face, body, and wellness products as well as relaxation tools. In addition to the online store for all product lines, the new website features a wealth of resource material relating to natural skin care. Small Business Web Designs completed its 1000th website today, signaling tremendous growth for the Sydney-based web design agency. Since inception in 2012, Small Business Web Designs has grown to serve hundreds of SME clients in all Australian states, with a key market focus in NSW and VIC. Small Business Web Designs employees a local team of seven designers, project managers, content writers and administrators, offers integrated web design and other digital services with a guarantee in client satisfaction. From humble beginnings with locally based businesses in Sydney, Small Business Web Designs has grown its relationships and traction, signing major Australian manufacturers, healthcare, psychology, construction, consulting and legal clients to its portfolio, all while ensuring accessibility and affordability to all SME’s. Small Business Web Designs year-on-year client retention rate is an impressive 98.5% and a full order book for new work meaning additional hires are now a priority as the business continues to grow market share. At the start of 2015 they rolled out nationwide toll-free access for support, hired a team of project managers and implemented Sales force to sustain stable growth. With 2015 half way over, the business looks forward to engaging with hundreds of new clients before 2016 and bringing their businesses online. Small Business Web Designs, based in Sydney, was founded in 2012. Through its Australia HQ and New Zealand operation, they offer a range of web design and other digital marketing solutions. Australia’s leading electronic security specialists Wise Group Security has just launched a new website to showcase their comprehensive range of residential security services. Wise Group Security has just launched a new website to showcase their comprehensive range of residential security services. They are one of Australia’s leading electronic security specialists delivering an innovative range of integrated home security and smoke alarm solutions. Wise Group Security offers comprehensive solutions for the home or apartment owner including security cameras, monitored alarms, intercom systems, home smoke alarms as well as home automation solutions that are tailored to suit individual client requirements. They have a broad customer and Australia wide geographic base – from individual homeowners through to corporate managers of residential apartment blocks. As a division of Wise Group Solutions, Wise Group Security offers the security of engaging with a service provider that possesses a 30-year history. They have a proud heritage of servicing many leading Australian and international corporations, banking and financial institutions, technology companies, insurance and construction companies, law firms, receivables management organisations, utilities companies, as well as a range of public and government authorities. Wise Group Security offer a variety of home security services across Australia including security cameras, monitored home alarm systems, smoke detectors as well as intercom systems and access control solutions for all residential applications. Outdoor lovers in Australia welcome spring, however it also brings with it flying termites that are looking for a suitable location in order to establish a new nest. After having been dormant over the winter months, warm late spring climatic conditions are the signal for termites to swarm. Swarming termites is a spring phenomenon, it is part of termite life cycle by which they spread across all urban areas. On a quiet, hot and humid late afternoon usually just before a storm, an established termite nest will release tens of thousands flying termites that are often mistaken for ants. Flying termites’ solitary mission is to start a new nest. When a suitable environment is found they shed their wings and morph into a new queen and king ready to start a new colony. If you would like to find out whether your property has any current or potential termite issues or want to learn more about Pestworks visit the website. Pestworks Net Australia was founded in 1991 by Andrew Adler and services commercial, Government and residential clients in the Sydney and New South Wales region. They are fully accredited, licenced and insured pest control operators. Andrew Adler is an experienced pest and rodent control termite expert with extensive field knowledge and has been protecting properties from pest infestations in Sydney metropolitan area for more than 24 years. To learn more about the control of termites and other pests visit the website. Charter Build has launched a new website to showcase their comprehensive range of office fit out services undertaken across Australia. Sydney based Charter Build is a leading commercial interior fit out specialist that is well known for delivering office fit out solutions tailored to meet individual client needs.With over 15 years in the industry, and in excess of 400 completed projects in that time, they have the experience and array of services that provide an exclusive and personalised service to their clientele. They pay particular attention to the client’s envisioned outcome to ensure that from conception to completion reflect the client’s business image and requirements. The company predominantly operates across Sydney but also undertakes numerous interstate projects each year. The principal activities of the company range from office design, commercial office fit outs and full project management of the process. One important aspect of the business is the working relationship they have built up over many years with Property Developers, Business Owners, Builders & Estate Agents. They know how to create and revitalise the finished space within budget requirements, whilst keeping in mind the end objectives that each client has. Google telegraphed to business owners late last year that they wanted all websites appearing in search results to be easily viewed on mobile and tablet devices. Google said it can be a “frustrating experience for mobile searchers” to end up on a web page that is not mobile responsive, and they added the label ‘mobile–friendly’ to their mobile search. The new Charter Build website is not only mobile friendly but has an SSL security certificate that Google also looks for in a website with niche authority. To learn more about Charter Build and to view the new website visit:, visit the new website. Retail Express has recently launched SkyStore the new ecommerce platform connecting retail business owners seamlessly with the online world – now providing one platform for all retail inventory & customer data across all physical stores. The landmark release of SkyStore represents 5 years of extensive research with Retail Express clients for a wide selection of businesses in retail including fashion apparel, furniture and sporting goods. “We’re very excited to bring this trialled and tested product to the retail market which truly alleviates the struggles associated with bricks and mortar retail businesses getting online” said founder and CEO Aaron Blackman. He went on to say “We know from our research that over 50% of Australian retail businesses don’t currently have an ecommerce presence and many of those who do, are not responsive”. With the booming e-commerce sector, Retail Express provides critical Point of Sale Solutions for retail businesses to quickly and easily expand their sales to well over 6% of their current sales. Mr Blackman said, “We have effectively removed the issues associated with ecommerce alignment whereby all inventory, stock control and customer management is accessible from one secure point in the cloud – no polling, no data loss. Retailers now have a single retail platform for both in store and online operations”. Retail Express is Australia’s leading cloud based retail-operating software for small to medium sized businesses. They provide POS solutions, inventory management and intelligent reporting to over 3000 businesses worldwide in fashion apparel, furniture, sporting and general retail. For more information on SkyStore and to learn about the three pricing options available visit the Retail Express website. Maul Products has launched a new website to showcase their comprehensive range of traffic bollards, wheel stops and car park safety equipment. Australia based Maul Products is a leading supplier of traffic bollards and wheel stops for all building and traffic situations. Management have over 25 years experience in the building industry, and hundreds of completed projects in that time. Maul Products have the experience and industry understanding that provides an exclusive and personalised service to their client base. All Maul staff pay particular attention that the client’s business image and requirements are catered for from conception to completion. One important aspect of the business is the working relationship they have built up over many years with Property Developers, Corporate Apartment Owners, Builders & Estate Agents. They know how to add safety aspects and aesthetics to the finished carpark space to add value and within budget requirements. Google telegraphed to business owners late last year that they wanted all websites appearing in search results to be easily viewed on mobile and tablet devices. Google said it can be a “frustrating experience for mobile searchers” to end up on a web page that is not mobile responsive, and they added the label ‘mobile–friendly’ to their mobile search. The new Maul Products website is not only mobile friendly but has an SSL security certificate that Google also looks for in a e-commerce website with niche authority. The company is Sydney based but often undertakes supply and installation on interstate projects. The principal activities of the company range from supply of car park wheel stops and traffic bollards. However, an array of other traffic related safety products can be both supplied and installed by them. Sydney SEO Partners announce the launch of a new website for their Penalty Recovery Services Division. Mr Tony Adams, founder of Sydney SEO Partners is pleased to announce the launch of a new website PenaltyRecovery.Services. This new division of Sydney SEO Partners will assist those seeking to engage a specialist consultancy to recover their website from of a Google ranking penalty. The new Google Penalty Recovery Services website is designed to be informative on all aspects of their work and fully details a money back guarantee which is similar to what Sydney SEO Partners has become well known for. If recovery is not achieved in the agreed time a full refund is issued. To learn more about the new Google Penalty Recovery Services refer to the website. In anticipation of Google’s new ‘mobile friendly’ algorithm update, due on 21st April 2015, Australia’s Executive Assistant Network has launched its new mobile website complying with Google’s requirements. Google telegraphed to business owners late last year that they wanted all websites appearing in search results to be easily viewed on mobile and tablet devices. Google said it can be a “frustrating experience for mobile searchers” to end up on a web page that is not mobile responsive, thus in November 2014 they added the label ‘mobile–friendly’ to their mobile search results to communicate this to their searchers. Websites that achieved this rating have had the GoogleBot screen the website detecting the following: if they contain software that is not common on mobile devices, the use of text that is readable without zooming, if links are far enough apart so that the correct one can be easily tapped and if content sizes to the screen so users don’t have to scroll horizontally or zoom. Google’s algorithm update, designed solely to deliver enhanced mobile user experience, is significant and its full impact will not be fully known until it is rolled out around the globe. SydneyPersonalTrainers.net.au is a personal trainer directory set up by Sydney Based Ztue Marketing. It is independently managed and has no conflict of interest with any personal trainer featured. It is part of the portfolio of Australian review websites that Ztue Marketing own and manage. Mr Tony Adams, founder of Ztue Marketing is pleased to announce the launch of a new website SydneyPersonalTrainers.net.au that will assist those seeking to engage a top level personal trainer in Sydney. Their research identified the fitness niche as the logical addition to their portfolio given the rapid increase of Australians joining gyms and paying closer attention to their fitness levels. Fitness Australia reported in 2011 that that there were 24,875 exercise professionals registered with them across Australia. In 2012 Australian tertiary educational institutions reported there were 10,253 students studying personal fitness. Ztue Marketing has structured the new ‘Personal Trainer’ website as an independent directory site and there were no conflicts of interest with any personal trainer featured. The personal trainers featured are of good standing, qualified and looking for new clients. Some featured had websites of their own and these were linked to SydneyPersonalTrainers.net.au where their pricing, location, personal trainer qualifications etc. can be viewed. Ztue Marketing reports that the popularity of independent review websites has grown significantly with on-line users in recent years. This is in line with the increased viewership of video reviews on YouTube over the same period. The busy pace of daily life, coupled with the extensive marketing campaigns by local and national chains of personal trainers makes these sites a good option for a prospective personal training client to make a stress free selection on line and in the comfort of their own home. Visit the directory of premier trainers in New South Wales looking new clients and offering attractive incentives to sign with them. Best Pests Control Sydney are pleased to announce the launch of a multi media pest control resource website. The founders of Best Pest Control Sydney want their new website to be an authority resource for business and home owners wanting advice on pests and best practices for pest control. The founders of Best Pests Control Sydney are building a high quality online reference website for those seeking informed advice on pests and best practices for pest control. For those wanting to view Best Pests Control Sydney new website are invited to visit the website. Speed Ranking System is now Recommended By Fast Video Mastery as their preferred video ranking training course. Sydney, NSW, Australia, February 25, 2015 /Proven Impact/PressReleasePing/ – Tony Adams, founder of Fast Video Mastery has thrown his weight behind Speed Ranking System and is recommending it as the preferred training course for ranking videos on Google and YouTube. YouTube is fast replacing Google as the search engine of choice by people wanting visual answers for ‘how to’ questions and problem solving. It boasts 800million visitors a month and approximately 100 hours of videos are being uploaded every minute, so there is no shortage of fresh content being presented. Fast Video Mastery have developed their specific method of optimising videos based on the Speed Ranking System,so that they appear high in both the YouTube and Google search results. Australian based Loan Easy has launched a new website to ensure an enhanced user experience and full compliance with Google’s ‘mobile friendly’ algorithm update. Google telegraphed to business owners late last year that they wanted all websites appearing in search results to be easily viewed on mobile and tablet devices. They said it can be a “frustrating experience for mobile searchers” to end up on a web page that is not mobile responsive. In November 2014, they added the label ‘mobile–friendly’ to their mobile search results to communicate this to searchers. Loans Easy provides unsecured fast loans solutions at competitive easy loans rates for those who find themselves in emergency financial situations. They offer an alternative to dealing with banks and other financial institutions. They offer fixed interest rates and easy repayment options with weekly or fortnightly payment options. Loans Easy are a member of the Credit Ombudsman Service and the Financiers Association of Australia, which means they adhere to strict codes of conduct. 16th February 2015, SydneyAustralia/PressReleasePing/– Denby Dowling Interiors -Interior Decoration Sydney has launched a new website to showcase their comprehensive range of interior design services to deliver the elusive wow factor for clients. Denby Dowling Interiors -Interior Decoration Sydney has launched a new website to showcase their comprehensive range of interior design services. Interior Decoration Sydney is a leading Sydney based design practice which specialize in delivering an innovative range of interior design solutions which deliver the elusive wow factor. Denby Dowling Interiors offer an array of services that provide an exclusive and personalised service to their clientele. They pay particular attention to the client’s current or envisioned lifestyle to ensure that the concepts presented offer insight and reflect the client’s personality and requirements. Denby Dowling, founder and principal designer of Denby Dowling Interiors commits to offering design solutions which are suited to the individual client’s needs, in order to deliver the most effective operational and aesthetically pleasing solutions. Denby & her team have a broad customer and geographic base, from individual homeowners to local companies, large multi-national corporations and government departments. The company predominantly operates across Sydney but also undertake interstate projects. The principal activities of the practice are Interior Design, Decoration and Project Management. However, some clients engage Denby & her team to consult on other building related matters when required. One important aspect of this Denby’s design practice is the working relationship built up over many years with Property Developers, Builders & Estate Agents. They know how to create and/or revitalize a space within strict budget requirements, whilst keeping in mind the resale value for their clients and projects. Denby Dowling said “our practice has a long history of providing clients with exceptional design options within budget and this is at the heart of our continuing success. We strive to deliver an outstanding customer experience on all levels and this is backed by state of the art digital design technology, employed to meet individual client requirements.” Denby went on to say “the new website is a reflection of the company’s commitment to staying abreast of the fast pace world of Design & Decoration and changing technology. The success of Rank Hunters is in the face of major Panda and Penguin algorithm changes late last year. These updates targeted thin content sites and back linking from unrelated sites. This year, the impact of Platypus algorithm update has already been felt which penalizes sites using spun content. Rank Hunters are recognized as specialist in ranking websites, YouTube videos, Facebook pages as well as press releases and Google Plus pages. Rank Hunters pay close attention also to registration of client businesses on Google Places. This ensures clients appear high in the business address citations and adds another listing for them on first page. 29 January 2015, MelbourneAustralia/PressReleasePing/– Metro Limo Hire service proudly announced that they are now offering an All American Convertible Fire Truck Limousine for the merrymakers and partygoers of Melbourne. This unique limousine hire service is the first of its kind in the city, and so far this is the only service of its kind. The fire truck offered by Metro Limo is an actual vintage fire truck. It was built in 1952, and this red behemoth served the city of Atlanta Georgia for many years. Today it sees a service of a different kind. While in years past it may have saved citizens from burning buildings, now this vintage fire truck is saving party goers from the hell of boring rides. The attention-generating properties of the vintage fire truck are considerable. It is immense, and the fire red color is instantly noteworthy. This is not the ride for people who want to hide in the background and stay in the shadows. This is the ride to get around town, while everyone’s eyes are upon you in celebration and perhaps with just a touch of envy. This is the ride of the unapologetic extroverts. It is not just the sight of the Red Vintage Fire Truck which demands the attention of passers-by and motorists. It is also about all the bells and whistles which the fire truck literally has. It’s not just a metaphor. The bells and whistles are there, and they work. And they are loud. The red vintage fire truck is simply the latest in the Metro Limo lineup which as delighted partygoers and merrymakers in Melbourne for many years now. Metro Limo is a legend in the industry, and its budget limo hire services have elicited numerous compliments from countless clients. It’s not just the ride which gets the praise. The complimentary champagne has its share of fans, and so does the professionalism of the drivers of the limos. The many different rides offer different sorts of experiences for everyone. Traditionalists may love the limo, but the stretch limo may accommodate more people in the party for a hen night or wedding car hire. Men, on the other hand, often go for the masculine look of the Hummer hire. Everyone enjoys the affordable limo hire prices. With the red vintage fire truck, the young and the young at heart can travel the streets of Melbourne with everyone’s eyes upon them. Metro Limo is the premiere Melbourne provider of limousines for all occasions, including weddings, birthdays, hen nights, wine tours, airport transfers, shopping tours, and concerts. Regular and stretch limousines are available, including Hummer limos and the famous fire truck limo. New York, United States of America, January 27th, 2015 /PressReleasePing/ – The rapid rise in the digital marketing and SEO is the reason for the new site Green-Puzzle.com being launched to provide up to date news and comments on industry trends. The service is being offered complimentary to the public and organisations who work in these industries. It is also intended to expand into a paid up to the minute news service for those that are prepared to pay for breaking news. Green Puzzle is keen to grow rapidly in authority and get not only news and industry developments known quickly in the market place but also a way for industry participants to get their messages and announcements out to other particpants in a fast and efficient manner. The digital marketing industry is no different and will be using an RSS Aggregator Feed Service as well as a YouTube channel to communicate announcements and releases. Green Puzzle will be using affiliated news agencies receiving RSS feeds to then repackage it and use it in their own news broadcasts. The business plan for Green Puzzle is designed to get news and event messages, including those from business owners likes of the Party Hire Group promoting their White Tiffany Chair Hire to on line publishing platforms. This service will address the most common problem faced by all business owners and organisations of getting their message seen and distributed fast on the web. Ztue Launch Sydney Removalist and Storage Operation. Ztue Marketing is pleased to announce the launch of their latest Sydney based business venture in the removalists Sydney and storage niche. The new venture will be independently managed and is expected to grow rapidly as the unique concept is rolled out across Australia. It is part of the portfolio of physical and online businesses that Ztue Marketing own and manage in Australia. Ztue Marketing has structured the new website as a one stop resource for home and business owners wanting information on moving interstate, tips on packing and other related resources, as well as where their pricing, locations covered, terms and conditions can be viewed. Sydney Removalists are professional removalists with over 20 years experience in the industry. They are known for offering real value for money for the work they do and the storage facilities they offer. They service all areas in Sydney. Especially in the North Shore, Mosman, the Northern Beaches, Manly and the Eastern Suburbs. They are specialists at moving apartments, house lots or offices and are fully insured, and are known for taking special care of peoples precious belongings. Sydney SEO Partners announce the launch of their new RSS Aggregated Feed Service specifically targeted at service and not for profit organisations needing a fast and efficient method to get their message on the web. Sydney, NSW, Australia, January 14, 2015 /PressReleasePing/-All service and not for profit organisations with a website or Youtube channel are now offered access to Sydney SEO Partners RSS aggregator feed Service. The service is being offered complimentary to these organisations who need to get their message and announcements on the web in a fast and efficient manner. The new RSS Aggregator Feed Service is being used in-house to promote client launches but is now being offered free to service and not for profit organisations. This service offers a High Authority RSS Aggregator Feed Service to achieve maximum exposure of the announcement. Those wanting to take advantage of this service should visit the ‘contact us’ page. The High Authority RSS Aggregator Feed Service is also designed to get news and event messages from business owners to on line publishing platforms. This service will address the most common problem faced by all business owners and organisations of getting their message seen on the web. When using an RSS Aggregator Feed Service the websites or YouTube channel is used to communicate the announcement to news agencies receiving the RSS feeds who then repackage it and use it in their own news broadcasts. Those interested in learning more about Sydney SEO Partners and their RSS Services can do so by visiting the company’s RSS website page. Sydney SEO Partners is a one stop boutique SEO agency for all things digital. Organic search and PPC through to media releases and social interface strategies. Sydney, NSW, Australia, December 05, 2014 /PressReleasePing/ –‘Scars Run Deep’ tells of young 15 year old girl Emily and her emotional journey of betrayal, perseverance and hope. Set in the UK in the 1980’s about a girl who could have predicted her own future, yet is taken on an unwelcome and difficult road beyond the familiarity of her predictable life. Roofer Restoration based in Melbourne Australia is pleased to announce the launch of their new website that will assist those needing roof repairs and restoration work in that region. Kew, VIC, Australia, December 23, 2014 /PressReleasePing/ – Mr Peter Smyth, founder of Roofer Restoration based in Melbourne is pleased to announce the launch of their new website that will assist those needing roof repairs and restoration work in that region. Mr Smyth stated “many of our customers don’t use the yellow pages any more and search the Internet. So we have had to move with the times to continue to provide the very best customer service we are known for” He went on to say “all roof repairs and restoration work can be handled by them from Replacing broken tiles to complete reroofing of domestic and commercial buildings including two well known night clubs”. Mr Smyth said ” he recognized that the task of selecting quickly an appropriate and experienced roofing contractor had become harder for the public and the new website went some way to helping those in need to find us”. Roof Restoration has structured the new website to be easily read in an emergency. The business is a independent company having serviced the needs of locals for many years now. The workshop facilities and tradesmen are reputable, experienced and able to handle all domestic commercial roofing tasks. Roof Restoration is an established full service operation and over the years has attended to almost every roofing emergency possible. Mr Smyth said “it is just not possible to think that the team has not attended to every roofing and restoration possible with their combined 30 years of experience in the industry”. There are many benefits to having an local company provide roofing services. The last thing homeowners want to do is to engage a new company when something unexpected happens to the roof of their home or business. This is especially true if there’s an emergency in bad weather conditions like high winds or heavy rain at night or during the weekend. Being local, customers know they are not far away. The team at Roofer Restoration has been serving Melbourne customers for over a decade now. As a full-service roof repair and restoration company, Roof Restoration offers exceptional and expert service to its loyal customers and all services are backed with a 100 percent satisfaction guarantee. For more information refer to the new website. Regardless of you needing work on a Melbourne Industrial Building or Luxury Home we can complete your project with the minimum of fuss and more importantly on time and within budget. The founders of Your Mates Removals have just paid an undisclosed sum for Sydney Based Boomerang Box adding this to their stable of removal related services. Boomerang Boxes are a significant advance in packing since moving began. They’re super sturdy, ready-made, really cheap, very green, lidded plastic packing boxes that can be stacked up to 5 high and no packing tape is needed. Boomerang Box is a Sydney based ‘green’ company that helps reduce the amount of paper waste by providing interlocking plastic removal Boxes right to the home or office. The packing boxes are rented and collected after the move. Customers only task is to label the boxes. Alpha Osteopathy has a new clinic locations in Dee Why and Mona Vale, NSW, Australia and has launched a new website to keep clients informed about their services and to educate the public about Osteopathy. Sydney, NSW, Australia, December 01, 2014 /PressReleasePing/ – Alpha Osteopathy now has two new convenient locations in The Northern Beaches of Sydney, NSW, Australia and has launched a new website to inform clients about their services and to educate the public about Osteopathy. Alpha Osteopathy’s Principal Osteopath is Dr Melissa Jhey is an experienced Osteopath with a special interest in pregnancy related pain, women’s health, children and babies. Alpha Osteopathy has just launched a new website to inform clients about their new location, to provide a convenient online booking service and inform clients about Osteopathy. Alpha Osteopathy’s new locations in the Northern Beaches are easily accessible, has relaxed and professional atmosphere and offer before and after hours appointments. Alpha Osteopathy provides a professional service with an experienced Osteopath having recently worked right in the heart of the Sydney CBD. Dr Melissa Jhey – registered Osteopath has had great success in helping women overcome pregnancy related pain and pain related to women’s health issues. She has also helped unsettled babies, babies with colic and reflux and children with glue ear and headaches. Melissa has also had excellent clinical results with treating low back pain, neck pain and sporting injuries across all ages. Alpha Osteopathy is a Northern Beaches based osteopathic Practice. The Principal of the practice, Dr Melissa Jhey has a special interest in treating pregnancy related pain, women’s health issues, children and babies. She has had great success in helping people overcome headaches and migraines, back pain and sporting injuries. Prominent Sydney Podiatrist Doctor Abdul Habra (Podiatrist) warns diabetics to get regular foot examinations in light of the increasing incidence of diabetes with not many aware of the risks that diabetics face due to neglect of their foot care. – For every person diagnosed with diabetes there is usually a family member or carer who also ‘lives with diabetes’ every day in a support role. – It is estimated that an estimated 2.2 million Australians are affected by diabetes every day. – At least 2 million Australians have pre-diabetes and are at high risk of developing type 2 diabetes. – Up to 58% of cases of type 2 diabetes can be prevented in the high risk (pre-diabetes) population. Bankstown Podiatry Clinic, as well as Five Docks Podiatry Clinic, are owned by Dr Abdul Habra (Podiatrist). Bankstown Podiatry Clinic is located in Bankstown of Sydney’s western Suburbs and the Five Dock Podiatry Clinic is located in the Inner West of Sydney that draws clients from that region but also those seeking a CBD fringe location clinic. Both clinic’s offer the full range of podiatry services and experienced at servicing all foot care issues diabetics may encounter. Ztue Marketing is pleased to announce the launch of their latest Sydney based business venture in the removalists and storage niche. Sydney, NSW, Australia, February 19, 2016 /PressReleasePing/ – The new venture will be independently managed and is expected to grow rapidly as the unique concept is rolled out across Australia. It is part of the portfolio of physical and online businesses that Ztue Marketing own and manage in Australia. Leading Sydney based luxury bathroom renovations company Aussie Bathroom Renovations expects the strong growth in orders they are experiencing in recent months to continue. The continued buoyancy in migration and the falling house auction clearance rate seeing more homeowners upgrading in preference to moving. In the 2011 Census, The Australian Bureau of Statistics reported that there were 5.3 million migrants in Australia, or 26% of all Australian residents were born overseas. According to the bureau’s statistics, migrants wanted to live in Australia’s two largest cities, Melbourne and Sydney. This has been a trend seen in Australia since the late 1940’s and in 2011, 1.4 million residents of Sydney were born overseas. Phone: +61 1300 163 533 STOP PRESS : Metrocities ABA alerts visitors to the new digital media technology being used by SEO Solutions. A press release is being prepared and will be published shortly. Information contained on this page is provided by independent third-party content providers. Metrocities ABA make no warranties or representations in connection therewith. If you have any questions or comments about this page please forward them via one of the methods detailed on the Contact Us page.